Concluding Insurance Disputes: 6 Signs of Insurance Bad Faith, here are some more things insurers may say to you in an effort to try to avoid paying you for your legitimate claim. If you hear anything similar to these statements, don’t hesitate to contact the Lone Tree insurance dispute lawyers at Bahr and Kreidle. 5. “You caused the accident and, therefore, aren’t covered by your policy,” says the insurer. When you have experienced any of these signs of insurance bad faith, it’s time to contact the Lone Tree insurance dispute lawyers at Bahr and Kreidle. When you report an accident or event to your insurer, they will typically conduct their own investigation into the event to make their own determination of fault in the case. In some cases, they may claim that, as a result of their investigation, they have found that you are to primarily blame for the event and, therefore, they are denying your claim. If this happens to you and you know that you didn’t cause the accident, don’t accept the insurer’s allegations. Even if an insurer tells you that your claim has been denied and the case has been closed, you can still challenge insurer’s allegations, fight to have your claim reopened and provide specific proof that can compel insurers to pay you the full amount of the payout you deserve for your injuries and losses. If you are still battling with your insurer, it may be time to file a bad faith lawsuit against the likely negligent insurance company. The threat of punitive damages in these cases can be highly motivating when it comes to getting insurers to reverse their decisions and pay you the compensation to which you are entitled. 6. “We will lower your payout in the future if you don’t accept the current settlement offer,” says the insurer. This type of coercive statement should be a huge red flag to you that an insurer is acting in bad faith. The fact is that insurers are not legally allowed to try to force you to accept a settlement offer if you don’t think that the offer is sufficient. 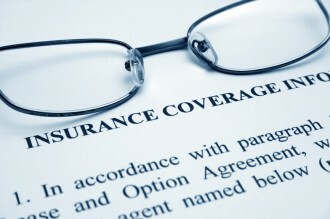 If you are facing the threat of having your offer lowered or even having your claim denied because you are considering rejecting a settlement offer for your claim, it’s time to consult with a lawyer about your rights and options for challenging insurers and holding them responsible for bad faith practices. Since 1983, the Lone Tree insurance dispute attorneys at Bahr and Kreidle have been fighting on behalf of injured people and aggressively standing up against injustice, inequality and intolerance. If you are fighting with an insurer over a payout on your valid claim, our Lone Tree insurance disputelawyers urge you to get more information about your potential case and rights by meeting with us for a free, no obligations initial consultation. To set up a meeting, call us at (303) 794-7422 or email us using the form on this page.